Up North Home & Furnishings is one of Elk Rapids' newest stores. Check out the store on FaceBook or its website. 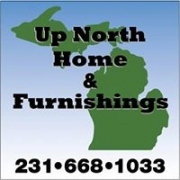 Better yet, visit Up North Home & Furnishings in person. You'll find a great array of furniture and home furnishings. You'll also find a copy of ClanDonnell. 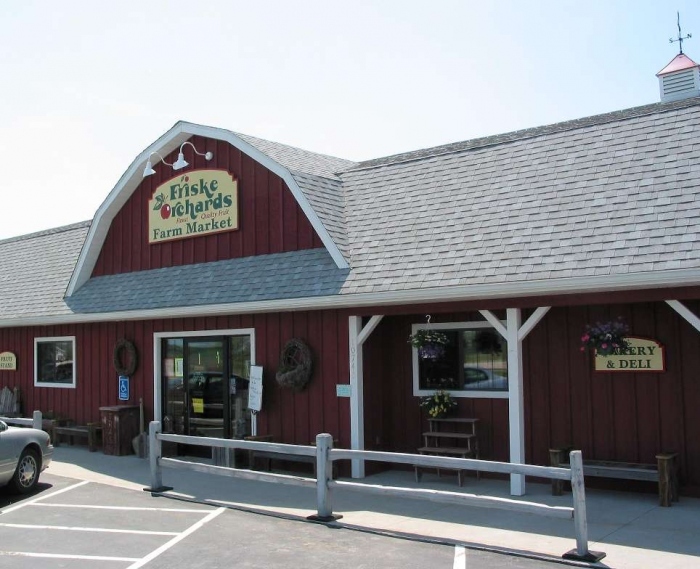 Friske's Farm Market in Atwood is one of the finest fruit and produce markets anywhere. But it also sells specialty products, gift items, and baked goods. If you don't want to eat at home, Friske's Orchard Cafe has a great menu of items (I especially like their soups). If all of this wasn't enough, Friske's has a book section. A savvy shopper can buy apples, lettuce, donuts, and ClanDonnell at a single location. Olde Sport Club in Harbor Springs offers a variety of products for the golf, fly fishing and duck enthusiast. And so, why not offer ClanDonnell? 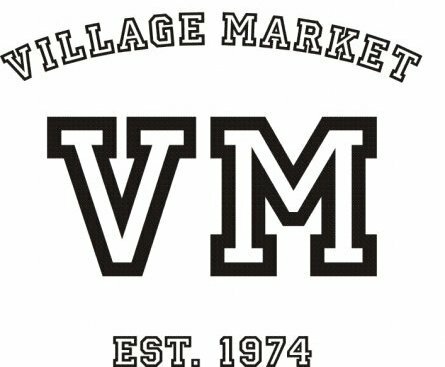 Stop in and browse the store. 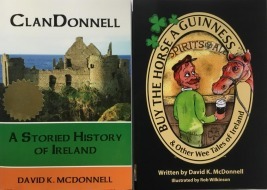 And if you are planning a sporting trip to Ireland or Scotland, pick up a copy of ClanDonnell before you leave - and you won't seem like a tourist while you are there. By the way, I know a great fly fishing spot or two in Ireland. 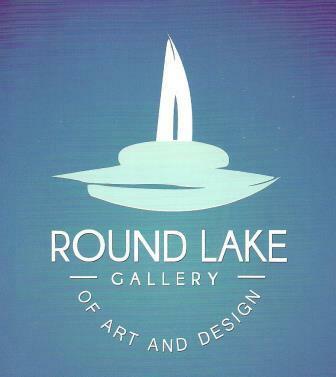 Round Lake Gallery has an incredible array of art work, jewelry, and the eclectic. A customer could spend hours looking through the fascinating items on display. And now it has ClanDonnell! Pay Round Lake Gallery a personal visit. In the meantime, check out the gallery's website and Facebook page. Greenwich Faire Boutique is a new shop in Elk Rapids, featuring interior items and antiques. The boutique features local artists and promises ever-changing inventory - so stop in often. The shop also features ClanDonnell! 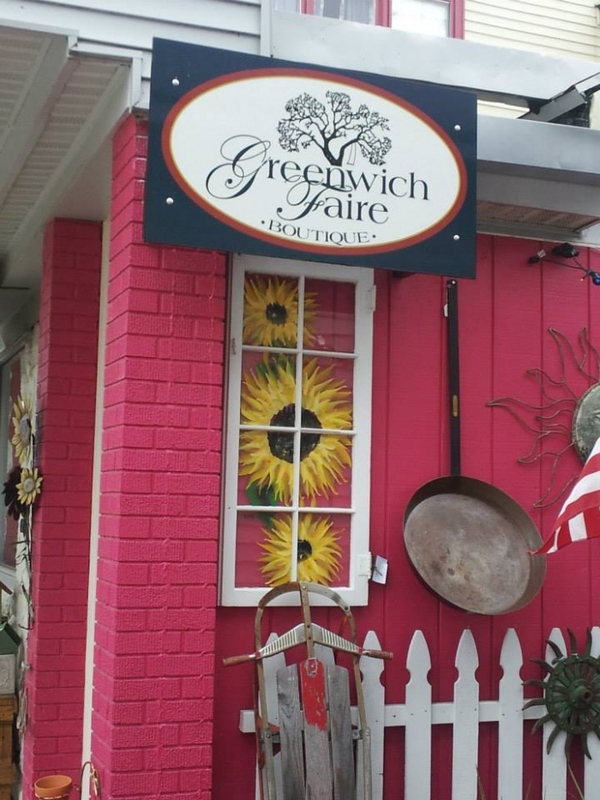 Visit Greenwich Faire's Facebook page. ClanDonnell is now at Ginger Snaps, an eclectic shop in downtown Elk Rapids featuring many local artisans and a lot of neat stuff. Visit (like & share) Ginger Snaps on Facebook.